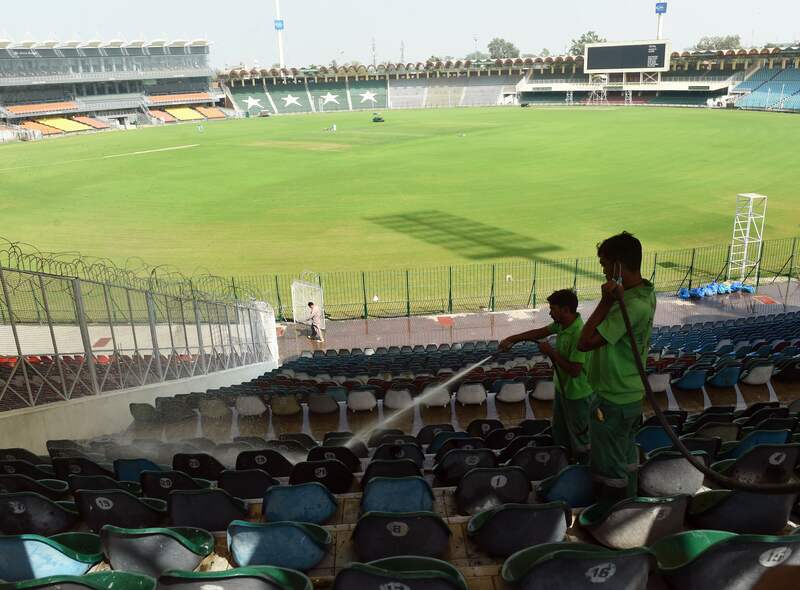 And so it comes again: for the fifth time this year, Gaddafi Stadium will attract global attention for doing what it was first built to do over 50 years ago: host an international cricket match. Sri Lanka are the visitors this time, the team that has been least fussy about playing cricket in Pakistan over the years. That was to their detriment in 2009, with the attack on their team bus, and Pakistan’s status as a venue has been paying the price ever since. A number of big names from Sri Lanka’s line-up are missing, not able to bring themselves back to the scene of the devastation their peers faced on a bleak March morning on their way to play a cricket match. But Pakistan have been more determined about getting international cricket back, particular this year, no matter the cost. 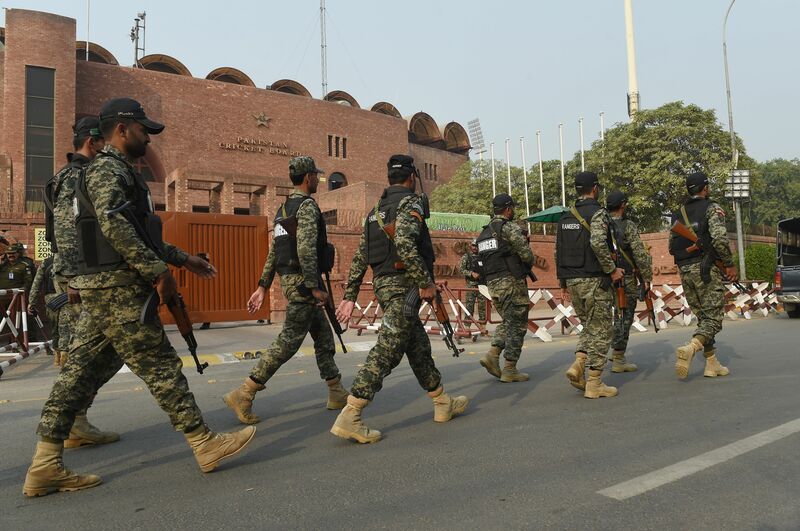 The security detail and lockdown of the city in preparation is something Lahoris are beginning to get used to; it comes with the territory these days. It would perhaps be best to focus on what takes place inside Pakistan’s most famous sporting venue as a Thisara Perera-led Sri Lanka look to avoid yet another 2017 limited-overs whitewash. 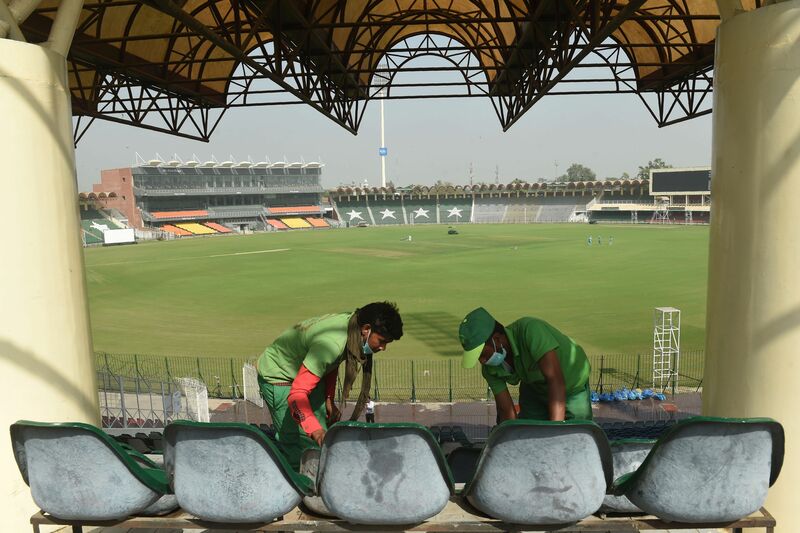 Dead rubber it may be, but the Gaddafi Stadium will be brimming with life today. Sri Lanka will be bitterly disappointed there isn’t more at stake, given their position of dominance for large parts during the second T20I in Abu Dhabi, where only a penultimate-ball six from Shadab Khan allowed Pakistan to sneak to victory. The visitors needed the win much more, for both confidence and pride. This is a young team put together under exceptional circumstances, expected to play against one of the world’s most in-form teams, and pushing them as they did last night was no mean feat. Pakistan will be eager to take advantage of a rare opportunity to play at what really is home, and should need no further motivation to turn up. Each of these players are aware that these crowds may only be able to see them a handful of times in their careers, and do their best to grab the opportunity. In any case, it would be a bit of a shame for them to amass such a long winning streak in the UAE, only to see it snapped in Lahore. Ahmed Shehzad has found himself pushed out of the ODI side by the dashing young Imam-ul-Haq, and only played the T20Is because of his form in the format against the World XI. However, two disappointing scores against a depleted Sri Lanka side means he should be dreading the axe in the shortest format too. With competition for the opening slot heating up, he needs a big performance to end the series on a high note, and to make a stronger case for T20I selection even as younger players look to take his place. His form in Lahore last month was outstanding, and returning to the Gaddafi may rekindle the confidence he has clearly been lacking of late. Seekkuge Prasanna is one of the more experienced players in Sri Lanka’s side, but his numbers haven’t done that experience justice. He played the last two ODIs as well has both T20’s, but has picked up only one wicket – none in the T20I series. He hasn’t compensated with runs either, never reaching 25 and averaging 15. Yet he has shown glimpses of why he’s in the side, and why the captain appears to trust him. But if Sri Lanka are to cause an upset, he’ll need to do more than that, and a high-profile game like this would be a good time to do it. With the series wrapped up, Pakistan may experiment, although, given the unique nature of this ‘dead’ rubber, everyone will want to start. Therefore, it isn’t unlikely that Pakistan may reward the side that won the series with a starting place in Lahore, going unchanged for three games straight. Pakistan (probable): 1 Ahmed Shehzad, 2 Fakhar Zaman, 3 Babar Azam, 4 Mohammad Hafeez, 5 Shoaib Malik, 6 Sarfraz Ahmed (capt & wk), 7 Imad Wasim, 8 Faheem Ashraf, 9 Shadab Khan, 10 Hasan Ali, 11 Usman Khan. Sri Lanka looked good in the second game, and might rely on the momentum they’ve built to challenge tomorrow. As such, the same eleven wouldn’t be a total surprise, although Lahiru Gamage bowled well in the ODIs and may merit a place. Sri Lanka (possible): 1 Danushka Gunathilaka, 2 Dilshan Munaweera, 3 Sadeera Samarawickrama (wk), 4 Ashan Priyanjan, 5 Seekkuge Prasanna, 6 Mahela Udawette, 7 Thisara Perera (capt), 8 Dasun Shanaka/Lahiru Gamage, 9 Isuru Udana, 10 Sachith Pathirana, 11 Vikum Sanjaya. The start time was brought forward by an hour for fear of excessive dew playing spoilsport in Lahore. The weather in the evening is much more pleasant than anything the players will have experienced in the UAE, and the ball is likely to come on to the bat much better. The winner of the toss is likely to bat first. If Pakistan make no changes to their side, Usman Khan will play an international in Pakistan for the first time. The other ten players have all played international cricket in their home country. If Sri Lanka lose today, it will be their 16th straight defeat in a limited-overs international.